A Sweetwater convenience store owner was arrested after his shop was found to be selling synthetic marijuana for a second time, police said. Basheer Mustafa, 26, was arrested Monday after some 600 bags of synthetic marijuana were found inside his Quick Pik convenience store on West Flagler Street and 112th Avenue, Sweetwater Police said. Police said the store was placed under surveillance after there were several complaints about Mustafa allegedly selling synthetic marijuana. As officers were watching the store Monday, a man who looked to be under age came out of the store with beer, police said. The officers stopped the man, who turned out to be 19. The officers went into the store and asked Mustafa is he had asked the teen for identification, and Mustafa said no, police said. When the officers asked Mustafa about the synthetic marijuana, he showed them the approximately 600 bags, police said. 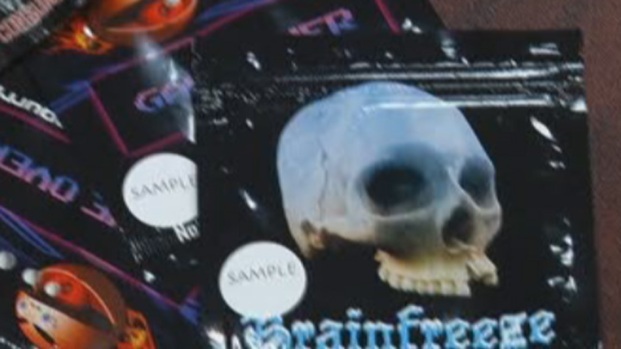 The synthetic marijuana was labeled under names such as "Mind Trip," "Psycho," "Diablo," "White Tiger," "Mad Hatter" and "Fairly Legal," according to a Sweetwater Police report. Miami Lakes Councilman Tim Daubert and Miami-Dade State Attorney Katherine Fernandez Rundle talk to NBC 6 about Sweetwater Mayor Manny Maroño's proposal to expand his city's synthetic drug ordinance. Mustafa said he believed selling the bags was legal, police said. The bags will be tested to see if they are in fact illegal synthetic marijuana. Mustafa was arrested and charged with selling alcohol to a minor. It was unknown whether he has an attorney. The push to ban bath salts and synthetic marijuana in South Florida continues as Broward County and the City of Sweetwater are moving forward with ordinances to ban and restrict their sale. Commissioner Sue Gunzburger, who first requested the draft ordinance, describes the drugs.